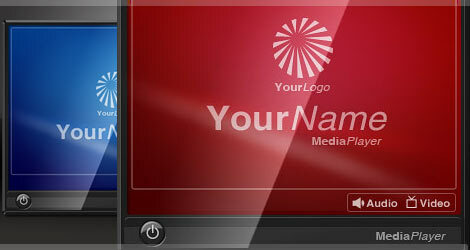 Our first Flash Media Player allows you to play audio and video from a single interface. 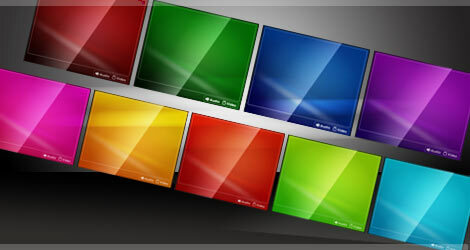 If you need something more unique - customised with your logo, colour scheme, etc - visit our Custom Skins page. Download Now - £8.00. To buy click the PayPal button below. After payment you'll be taken to our Download page. Please read our Terms before buying. You'll notice our Flash Media Player includes a 'Splash Page' that appears when the user first turns-on the player. This page can be used to add basic custom branding; such as a custom colour, a custom name, a custom typeface (font) and a custom logo.